The director of Toyota North America thinks that the brand should be known for small premium vehicles. 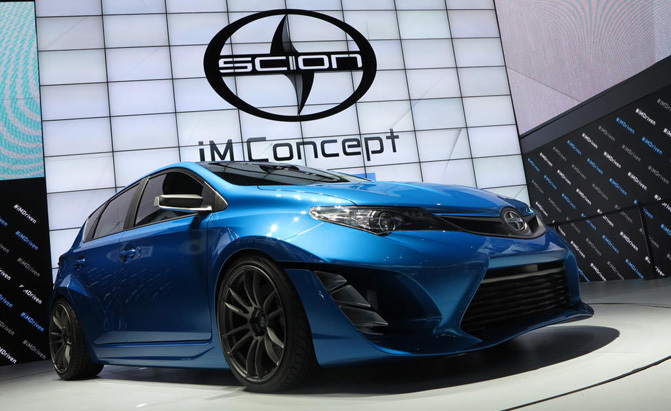 He stated that small premium vehicles on the C-platform are the best direction for Scion to develop in. At the time when arrangement is actual considering that Lexus is not planning to sell any of their luxury models with price lower than $30,000, the Scion when riding into more premium plans becomes a longer-termed proposition. The Vice President of Scion disclosed to WardsAuto that the brand will continue hitting the younger audience, though it does not refutes the thought of becoming a small premium brand. The brand is going to launch three innovated variants in three years. The first of them will be the iM based on the Toyota Auris intended for Europe. The production variant will be presented at the Auto Show in New York in the coming year after showing off a concept by the brand at the Auto Show in Los Angeles this year. While the other two models are veiled, a compact SUV or crossover is being considered. The company’s sales continue to fight the lowered sales by 14% through October this year (50,285 cars) in comparison with the last year (59,030 vehicles).